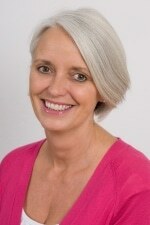 The Health Show covers a wide range of health-related topics and is presented by local nutritional therapist, Ann Garry. Ann has a first class honours degree in Nutritional Therapy, a BSc in Chemistry and a coaching qualification (NLP Practitioner). She is passionate about helping people to live healthier lives and she has lived with her family in Marlow for over 16 years. STOP PRESS: Women’s Health Concern’s Trustee, Patrick Shervington, is joining Ann Garry for her Health Show on Tuesday 14 June at 11am. Tune in to hear the latest on the charity’s work and today’s most pressing women’s health issues. Ann will also be joined by the Chief Executive of the British Menopause Society, Sara Moger. Marlow FM launched in May 2011 and currently has over 36,000 listeners. It is a community radio station run totally by volunteers – ‘run by the people, for the people’.